Join us and our resident DJ Gabrielle Kwarteng for a night of great music and craft cocktails. 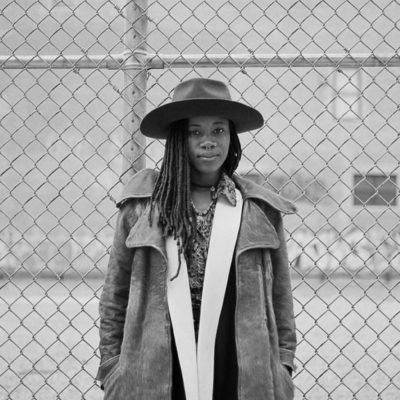 New York City native, Gabrielle Kwarteng has always taken the role as a music curator for as long as she can remember. As a child, she began building her sonic taste buds with her parents' cassette collection of Ghanaian highlife, Nigerian afrobeat, American disco, soul, and jazz just to name a few. She enjoyed controlling the room through these musical waves, which eventually transpired into her DJ career. Having also lived in two other artistic capitals, London and Paris, and traveled to a lot more, Gabrielle has amassed a music collection – vinyl and digitally – that stems globally. Her DJ sets are rarely one note, as she seamlessly weaves in the most obscure genres, including Japanese disco, Brazilian funk, Ethiopian jazz, with music's most recognizable disco, funk, and soul hits.